Are you loyal to Guild and dragon? entirely. In a world of rapidly disappearing resources, magic gave the poorer countries an edge to compete with the rich, driving the earth into a war with horrors that escalated beyond human imagination. Humanity began a two-pronged effort to lessen the drain on the earth, they began to colonize space. The first efforts were enlarging already existing space stations. The second prong was an effort to reach out into the stars and colonize other planets. Far from the rosy dreams of the Twentieth Century, the first ships sent towards distant worlds were destroyed as their engines pushed them into the vacuum. Baffled, the scientific community soon located the problem. It was a watershed moment, the answer to a thousand questions in one brief instant. Space was filled with what would come to be called the Winds, eddying currents that whipped through space at unimaginable speeds, destroying anything that came into contact with them. To deal with the Winds, humanity built ships of solid metal, their tiny spaceports the only view into the depths of the stars, the passengers and crew condemned to generations on board. As the world entered the third century of war, the inner solar system was reaching the point where it could not contain any more of the massive stations that most of humanity now called home. Something had to be done, and once again, the idea of colonizing other planets was reviewed. Thinking to harness the Winds, small solar sailing vessels were built and launched from Terra Secundus, the largest of the space stations circling earth. The experiment was a disaster, the small ships were destroyed within seconds as they were buffeted beyond their ability to control, the small maneuvering engines overwhelmed by the energies swirling through space. In the few seconds before the sailing ship was crushed, a transmission came through. It recorded something drifting on the Winds, small flecks of light, like glitter, drifting through space. Termed willowisps after the legendary lights, they flickered throughout the galaxy, riding the Winds unharmed. Thinking the willowisps held the answer, scientists set out to study them, but they resisted capture, blasting apart when they were brought into a lab like the creatures once pulled from the depths of the seabed on earth. with no choice. It was fight or die, and humanity chose to fight. The first wave of attacks were devastating, the Vermin struck at the space stations, destroying the docks and leaving the inhabitants helpless and struggling to survive, as those still living on earth tried to defend their dying planet from the ongoing attacks. And…Something was there, watching, noting each stumbling step. Three hundred and fifty years after the beginning of the War, and six months after the first attack of the Vermin, the dragons swept out of the sky onto an unprepared planet. Like a space-bred amphibian, the dragons could exist in the vacuum of space as well as an atmosphere and rode the Winds through space, drifting between planets. They had been aware of humanity for centuries, visiting periodically over humankind’s tenure on earth, their presence noted by a few individuals thought mad or delusional. The dragons were long-lived and witnessed the first satellite leave earth, and the first steps on the moon. Earth’s war wasn’t theirs and they didn’t interfere. an alliance with allies that were strong enough to join the fight. the spell that would allow humanity to harness the willowisps to create sails to ride the Winds. The first sailing ships were created at Terra Secundus, the dragons watching over the construction and patrolling the edges of the system to keep the Vermin at bay. The dragons had not solved the problem completely with that first spell, sails were created, but when the first ship was launched, the sails fell apart, and the metal bubble allowing an atmosphere for the humans to survive collapsed as the sails moved to catch the Winds. ships to function. The discovery led to the birth of the Weaver’s Guild. Magic was not just needed to build the ships, but to maintain them. The sails had to be constantly monitored, and it was the Weavers who held them together as they slipped along on the Winds. The Guild was divided into three, the Sail Weavers who created the sails, The Air Weavers who created the atmosphere on the top deck that allowed the crew to function while the ship sailed in space, and the Warrior Weavers who served onboard the ships, maintaining the sails, and in battle keeping the tight control they needed to prevent the sails from blasting apart. away from the dock before the spells were spoken and the Progress raised her sails and made her triumphant way into space. As she edged out of the solar system the Vermin were waiting and tried to take the ship, but the dragons joined the battle. After a very close call, the dragons chose to assign one of their kind to each ship, a scout, a helper and someone to ensure that the Vermin ship was entirely destroyed after the battle. As more ships were built, the Weaver’s Guild grew, becoming more powerful and able to make demands on the government and the burgeoning navy, asking special rights for their members. The Navy at first denied all requests, but once it was discovered that each set of sails were unique to the Weaver that created them, things began to change. Without the Weavers, there would be no navy. The first century after the launch of the Progress pushed the boundaries of the known world. Humanity reached out, establishing stations throughout Sol’s system and several colonies on other worlds. The Vermin continued to make war, and a pirate-class arose, preying on cargo ships as they moved the precious resources from the planets out to the stations that support humankind. After an incursion of the Vermin into inner space, and the destruction of the flagship Constellation, the Navy set out to build a ship, unlike any other, that would stop the Vermin… no matter what the cost. 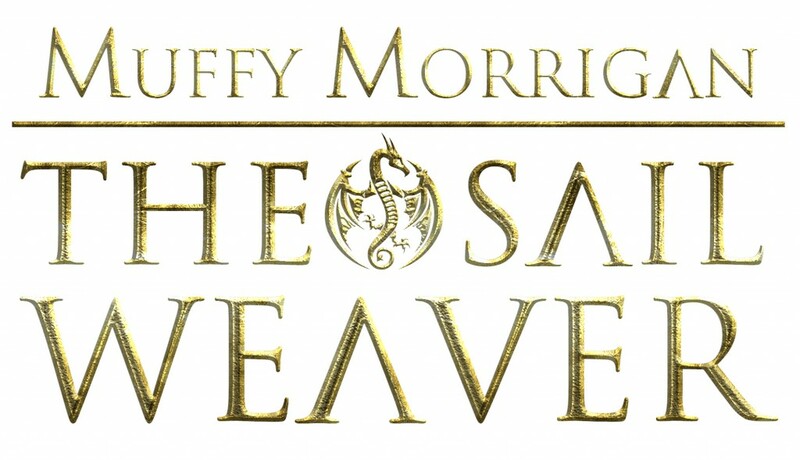 Please take a moment to vote for 'The Sail Weaver' on Goodreads!